Graeme Souness has said that Neymar will never be 'heir to the throne' of Cristiano Ronaldo and Lionel Messi. The Liverpool legend said that if the favourites for the World Cup, Brazil, are to be triumphant, the PSG star will have to up his game considerably. Souness, who is now a part of TV3's Champions League coverage, said that we should enjoy watching Messi and Ronaldo while they are still playing because, contrary to the popular opinion, Neymar’s career will never reach the illustrious heights of either player. "I think he’s yet to come alive," Souness said at the launch of TV3's fall schedule. "For them (Brazil) to win the World Cup, he has to get in the air and get into the air quickly. I’ve been saying to the last seven or eight years. We've had two of the greatest players that have ever kicked a ball in the last decade, in Messi and Ronaldo. We should enjoy them, because they’ll be gone very soon and there’s no heir to that throne. People talk about Neymar being heir to that throne. I don’t see that. "I’ve seen it in glimpses but not in a consistent way both those two, Ronaldo and Messi, have shown us. I think he has it all to do to take over that mantle. Messi in my opinion is the greatest ever, not because he’s talented. No, it’s everything. Athleticism, their attitude to disappointment, how they deal with that, how they deal with getting physically abused, because they’ve had that all their careers and they deal with it. That’s why there are big question marks over Neymar if he thinks he’s going to take that mantle over." 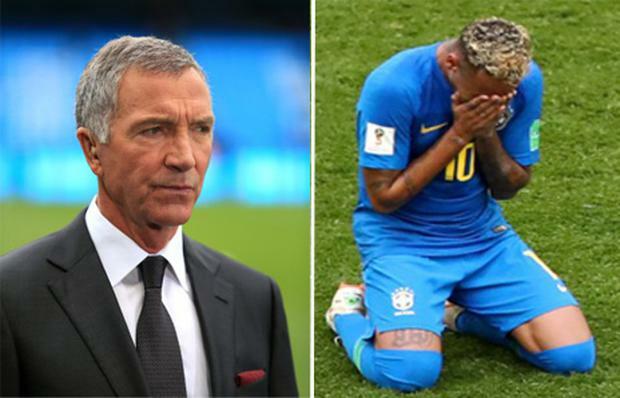 Souness said that the unpredictability of the World Cup is something to be excited about and with Neymar not firing on all cylinders for Brazil, there are no dominant forces in the tournament. The Scot said that it has been one of the best starts to a World Cup that he has witnessed and VAR has played a part in his enjoyment. "I think it’s been fabulous," he added. "Normally, World Cups are slow burners. But aside from some of the first round games which were dull, I think it’s been a really, really good one. I'm loving it! "I think any way you look at football, it’s an entertainment business and it has become more and more like that since the start of the Premier League. I think if you’re sitting there with a pint and a bowl of peanuts and it goes to VAR, the pint goes on the table, you stop eating the peanuts and you’re engrossed for that 30 seconds, one minute, 45 seconds. The Liverpool legend admited that there was one occasion when an incident involving VAR left a bad taste in his mouth, but he places the blame firmly on the human element of the technology, which aids referees in their decision making using video replays. When Portugal met Iran in their Group B clash in Russia, a 90th minute decision by referee Enrique Caceres, saw him consult VAR before deciding to award Iran a late, undeserved equalising penalty, in what has been described as the worst use of VAR at the World Cup. Souness heavily criticised "the dodgy referee" Caceres, but said that his decision must not affect how people view VAR. Human error is still present as the technology only assists referees and can not make its own rulings. "The only time I would be critical of VAR, and I would put it firmly at the door of the referee, is in the Iran Portugal game," he said. "Firmly at his door. He wasn’t strong enough from the very first minute. I criticise referees on a regular basis, but I’m having the benefit of replays and looking at it from different angles. That referee the other night, had a perfect view of it in real time and then he’s gone to VAR and he still deems it a penalty? Beyond belief. "That’s just poor refereeing and it will always come down to a human’s decision and the end of the day so the VAR is only made for them. I think it’s an enormity for them and I’m a fan. I think it’s a bit of drama."